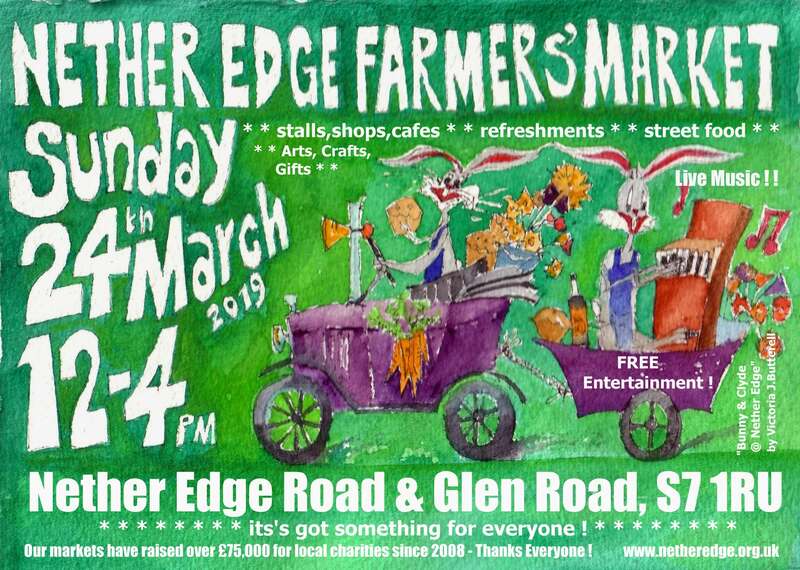 Nether Edge is the home of Nether Edge Neighbourhood Group (NENG) and the quarterly Nether Edge Farmers Market. Click HERE to join NENG and receive the monthly EDGE magazine. Click HERE to see a short video of a recent market or join us on 3 December for this Christmas' market. Situated in the South West Sheffield, the area is a vibrant and diverse community, stretching from Psalter Lane to Abbeydale Road and from Brincliffe Edge to Sharrow Lane. It includes the Nether Edge Conservation area, Chelsea Park and at its heart the local shopping centre of Nether Edge. There's always lots going on but September's turning into a particularly busy month. Every year it now featured the well-loved Nether Edge Farmers' Market, the September Nether Edge Festival and the Nether Edge Yard Sale. November also brings the annual 72nd St Andrews Scouts group bonfire and fireworks event in Chelsea Park. Within Nether Edge boundaries you will find a host of welcoming places for people of all faiths, the Salvation Army, the Synagogue, the Kings Centre, St Andrews Church and Common Ground. The Jamia Masjid and Usmania Education Centre, is nearby at Leyburn Road.Nether Edge Neighbourhood Group has been active since 1973 and co-ordinates activities to explore and enhance our area and our community. Click here for examples of what's been done recently and how you can get involved or contact us directly. Application forms for stalls at future Farmers' market are available for download here or from the Market Facebook page. But just how well do you know Nether Edge ? 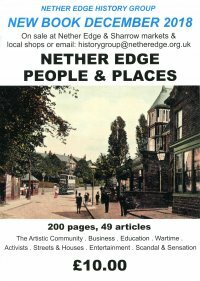 With 200 pages, 49 articles and coloured illustrations throughout, this is a book to dip into and discover more about the community of Nether Edge. Nether Edge People and Places will be launched at our local Christmas markets - Sharrow Vale on the 2nd December and Nether Edge on the 9th, priced at £10.00. There will also be an opportunity to buy both books for £20 (a discount of £1.95). And find out more in 'Aspects of Nether Edge', the companion book written by members of the History Group and available for only £11.95. Copies available from Wickwire, Nether Edge Rd or by contacting historygroup@netheredge.org.uk.